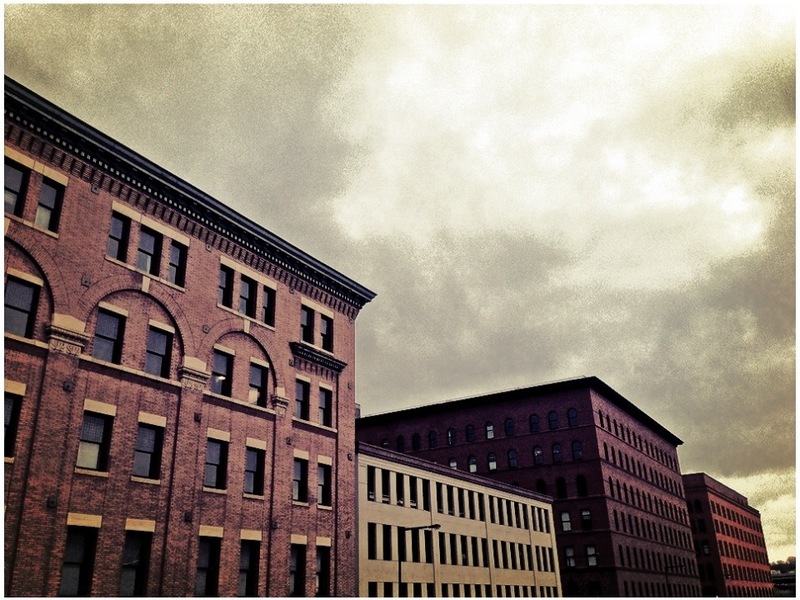 Those that know me or follow this blog are aware of the love affair I’ve had since 1999 with my neighborhood, the Lowertown district of downtown Saint Paul, Minnesota. Tonight I was once again struck by the architecture and beautiful cornices that grace the warehouses of the place I call home. Twin Cities Public Television put together a terrific documentary on the urban village of Lowertown that I recommend for any history buff. This is day 70 of Photo 365. I’m having so much fun following your adventure. Sadly, it hasn’t (yet) inspired me to get off my arse and shoot! It will. Here’s someone you might enjoy following on twitter: @Vivnsect She has shot some amazing city scapes of NY City. It might inspire more shots in STP for you. BTW, it was GREAT to see the T-man in Bemidji! Thank you for the recommendation! I will definitely follow her and take in her work. Daylight Savings has definitely helped in the lighting department, but I need daily inspiration to keep me going forward with this project (because I would be photographing my feet on a lot of days).